Engineered to easily accommodate a wheelchair. 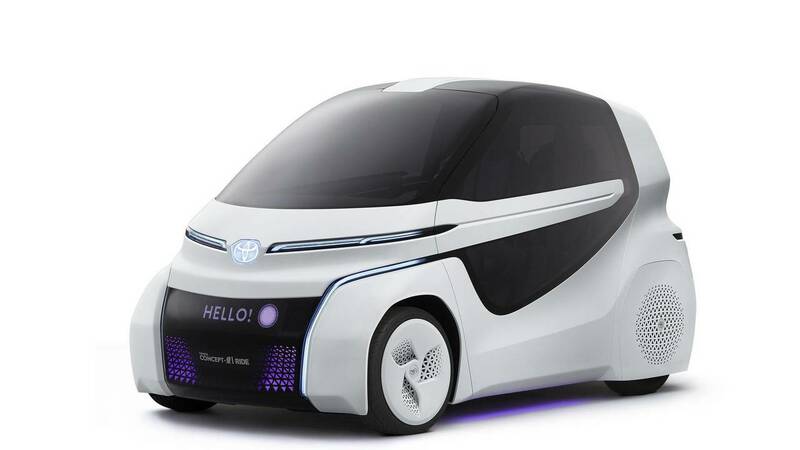 After introducing the Concept-i at the beginning of the year during CES, Toyota has downsized the formula for the new Concept-i Ride tailored to city use. It might just be one of the smallest cars to feature gullwing doors and these have been installed not just to make the concept look more interesting, but also for ease of access inside the cabin for people in a wheelchair. Thanks to the large opening of the doors, it should be quite easy to get in and out of the Concept-i Ride, which in case you haven’t figured out by now, it’s a fully electric concept that can accommodate two people. Open the door and the electrically operated seat automatically slides to the entrance, thus making it easier for those in a wheelchair to move to the car’s seat. In the rear compartment, there’s enough space to store a folded wheelchair. While the Concept-i from CES had a steering wheel shaped pretty much like a gaming console’s controller, the follow-up concept utilizes a joystick that also incorporates the accelerator and brake functions. The driver actually sits in the middle and can enable the Concept-i Ride to take care of parking thanks to the onboard assistance systems. Measuring only 2,500 millimeters (98.4 inches) in length, 1,300 mm (51.1 in.) in width, and 1,500 mm (59 in.) in height, the Tokyo-bound showcar has a wheelbase of 1,800 mm (70.8 in.) and can travel for up to 150 kilometers (93 miles) between charges. It will be joined at the show beginning with October 25 by the aforementioned Concept-i and the new Concept-i Walk. The latter takes the shape of a mobility vehicle with three wheels and a variable wheelbase. 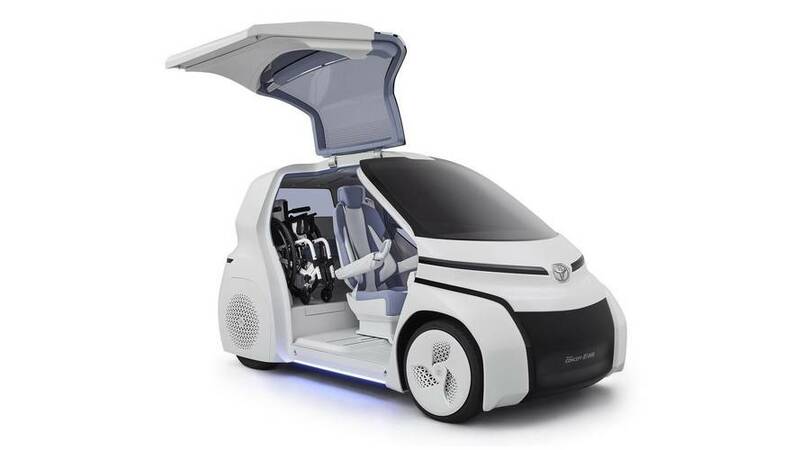 Also electric, the concept occupies just about as much space as a pedestrian while walking and Toyota says it can be used for up to 20 km (12.4 miles) before recharging. Depending on the configuration of the wheelbase, it has an overall length varying between 500 and 700 mm (19.6 to 27.5 in.) and has a turning radius smaller than its total length. Hopping onto the Concept-i Walk should be easy to do since it has a lowered floor. There are onboard sensors able to detect any dangers. When that happens, the driver is automatically alerted in order to avoid the imminent danger. The Concept-i trio will share the stage in Tokyo with the Tj Cruiser, GR HV Sports and Crown concepts, as well as with the next-generation Century flagship fullsize sedan.